The loss of a life well lived can give rise to good grief. Over the past week, while pained and saddened by the passing of Rev. Dr. Katie Geneva Cannon, the FTE community has paused to reflect with deep gratitude on the tremendous legacy she leaves. In both seemingly small gestures and grand strides Dr. Cannon’s teaching, mentoring, and ministry helped us remember how to be human, how to be the family of God. Sometimes good grief sends us into the picture albums, shoeboxes, and scrapbooks that enable us to tell ourselves the story of the love that will endure beyond the grave. 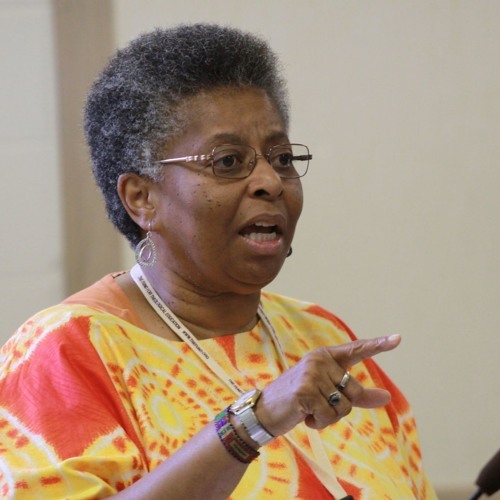 At FTE, we went digging into our archives of the countless contributions Dr. Cannon made to the next generation of scholars in the academy, church and community. While digging, we recovered this transcribed interview from 2009. There can be no better witness to her liberating legacy than her own words.